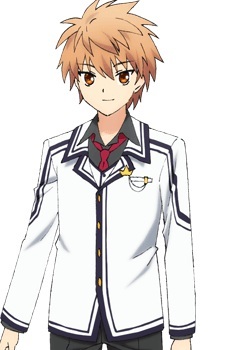 Kotarou is the protagonist of Rewrite. He is a high school student with a frivolous personality and is known to be arrogant. Though not fully realizing it himself, he meddles in the business of others, and as such tends to get easily drawn into incidents. The beginning of Rewrite centers around Kotarou's antics in his attempt to revive his school's Occult Club. As the story progresses and gets more serious, Kotarou undergoes great changes. Depending on which heroine he decides to follow, he becomes a whole different person with a different goal and a different mindset.